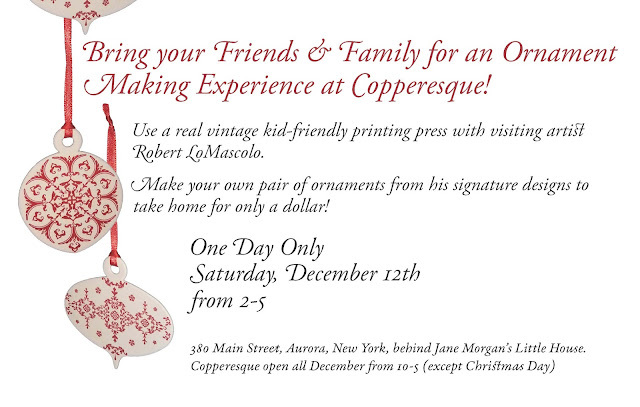 I will be at Copperesque in Aurora, New York on December 12th from 2-5 with my press! Come and we will print some ornaments together. This will be a fun and non-demanding experience for all ages. I look forward to seeing you all!